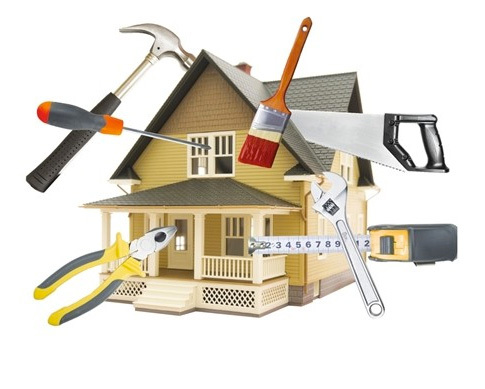 Before you submit a maintenance request, click here for for quick fix tips. Toilet runs constantly or flushes by itself. A leaking flapper most likely causes both symptoms. This is the round seal in the bottom of the tank connected to the chain for the handle. When you depress the handle, the flapper pops up to allow the water in the tank to rush into the bowl and cause the toilet to flush. The flapper is easily removed and replaced. A new flapper costs around $2-$5 at any hardware store and replacing it will likely fix the problem. Be sure to remove the old one and match it up to the new one to ensure proper fit. Once the flapper is replaced, adjust the toilet ball (ballcock) gently downward to lower the water level in the tank. Remove any toilet bowl cleaners from obstructing the flapper in the tank. Toilet won’t flush, the handle just moves up and down. The flapper chain may have come off the handle arm. Reconnect the chain. Don’t forget, the water in your toilet tank is fresh! Disposal doesn’t chop food well or drain has an odor. Fill an ice cube tray ½ full of vinegar and ½ full of water. Once the cubes are frozen, put them in the disposal and turn on. Use 2-3 cubes a week for about a month. This will not only sharpen the blades, but keep your drain clean at the same time! (Lemon peels also work well for odors). Pour 1 cup each of baking soda, salt, and vinegar. Pour baking soda and salt into drain, immediately followed by vinegar. Let sit for approximately 15-20 minutes. As you wait, boil a pot of water. After 15-20 minutes have passed, pour the boiling water down the drain to flush the pipes out. Note: Do not use this remedy if you have already used a store-bought remedy in the same drain. Disposal does not make any sound when the switch is turned on. The most likely cause is no power to the unit. Most disposals have a “reset” button on the bottom or side of the unit which acts as a built-in circuit breaker. Depress this button to reset the unit. If that does not help, try resetting the designated circuit breaker on your electrical panel. If the disposal makes any sound at all (i.e., buzzing) when turned on, it probably means the unit has power, but is jammed. Use an Allen wrench to clear the jam. This is a five-sided, L-shaped tool that will fit into the bottom of the disposal ($2-$3 at a hardware store). With the unit turned off or unplugged, insert the Allen wrench into the bottom of the disposal. Move it clockwise and counterclockwise to loosen the jammed unit. Sometimes you can reach into the disposal and remove the stuck item if it is large enough. Always unplug the garbage disposal before reaching into the unit. Once you believe the unit to be clear of the jam, plug the unit back in and turn the disposal on to see if it rotates! The unit is not producing any hot water. Your pilot light may be out. Follow the instructions on the tank for relighting the pilot, or call your local gas company who will relight it for free! If the unit is electric, it may have a reset button on the tank itself. Depress the reset button. If that doesn’t help, try flipping the designated circuit breaker in your electrical panel as it may have tripped. Water heater is not producing enough hot water. If the water heater runs out of hot water too quickly, increase the temperature on the water heater thermostat. If the temperature is set on the highest setting, flush the water heater according to the directions above. Water heater makes a rumbling or clanking noise. Chances are this is related to sediment build up. A flush of the water heater may be all that is required. CAUTION: The water in the water heater is very hot. Use extreme caution and keep children and pets away from the area when flushing the water heater. Attach a garden hose to the drain valve (looks like a hose bibb) at the bottom of the heater. Run the garden hose either outside or to the nearest drain. Open the drain valve, which will allow the water to drain through the hose. When the water is running clear (usually after about 20 minutes), close the drain valve and remove the hose. Turn on a hot water faucet in your home and let it run until all air bubbles are out of the line, then turn it off. No power to an outlet. First, try resetting your circuit breaker. If that isn’t effective, and a bathroom or kitchen outlet is affected, it could be a tripped GFI/GFCI. The GFI/GFCI is a mini breaker located inside an outlet within 10 feet of water (i.e., a sink). The GFI/GFCI reset button is usually red with test/reset noted on it; it is located directly on the outlet cover. The GFI/GFCI breaker prevents electrocution by shutting off power immediately if electrical current comes in contact with water. At the circuit breaker panel box. Regardless of where it is located, it is likely that all the kitchen and bathroom circuits are connected through this outlet. Builders generally install one GFI/GFCI and then wire other outlets through it. Look in these areas for the GFI/GFCI and be sure the reset button is depressed. Door reverses in mid-opening or closing. Remove any obstructions in the hinge/spring area. Most units have an automatic reversing feature in the event the door detects or hits an obstruction. Many units have an “electric eye” or sensor that may become obstructed. If so, remove the obstruction. At times, these sensors may become misaligned. If the light on the sensor is blinking, it means the two sensors are not aligned and need to be adjusted. Once they are aligned, the lights will stop blinking and the obstruction will be eliminated. The door does not open or close smoothly. Garage door openers have a tension knob on the back of the opener which needs to be adjusted to the weight of the door. 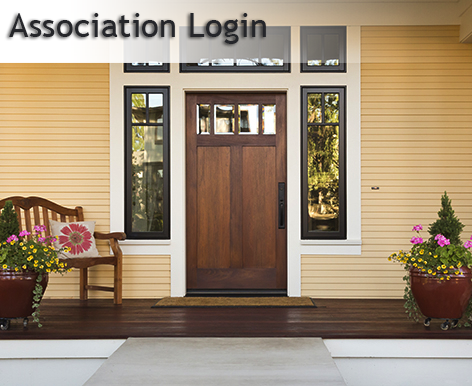 In the winter, wooden doors may absorb moisture which makes them heavier. This will result in the door operating with a “jerking” motion. The tension knob is located on the back, side, or front exterior of the opener. There are usually indicators that read “higher/lower” or “increase/decrease.” Adjust this knob slightly in one direction, test the door. If that doesn’t help, turn the knob in the other direction until you are satisfied with the door’s function. To eliminate the hammer is easy! Water hammer is caused by air trapped in your incoming water line. First, shut the water off to your home at the main shut-off valve. Open all the faucets and fixtures, both hot and cold until all the water is drained from the pipes. Then, with all the faucets still open, turn the water valve back on to the home which will allow all the air to be pushed out of the pipes by incoming water. Then, one by one, shut off each faucet and the hammer will be gone! If this does not resolve the problem, it could be related to high water pressure. If you have a pressure regulator, call us for service. Discolored, rusty water is coming out of the faucets. If this is only happening while the hot water is running, refer to the water heater section on how to flush the unit. If it is coming from both hot and cold lines, it is most likely corrosion or rust in the pipes—that would require a contractor to correct. Under the terms of our Plan, we do not provide coverage for chemical buildup or rusted pipes. Pipes must be actually leaking due to normal wear and tear to be covered under the Plan. Oven will not open (locked). Reset the self-clean dials to the off position and gently open the locking mechanism. Self-clean feature will not turn on. If you haven’t used the self-clean feature before and are unsure how your unit operates, operating instructions can be obtained from the manufacturer. Check the dials for the self-clean setting. Be sure the door latch is closed. Right rear burner becomes warm when oven is on. The vent for the oven is located in the right rear burner area and this area may heat up while the oven is in use or if the unit is self-cleaning. Oven will not turn on at all. For electric ovens: Try resetting the designated circuit breaker in your electrical panel. If that doesn’t help, check the dial; it may be on “time bake.” The oven will not turn on without a time being programmed into the unit. Either set a time or reset the oven to bake or broil. Oven will not heat to desired temperature. Most likely the calibration needs to be adjusted on the thermostat. Many times the manufacturer can assist in re-calibrating over the phone, depending on the type of unit. Note: A 10-20 degree variance is normal per some manufacturers. Electric burner won’t come on or doesn’t heat evenly. Make sure the burner coil is completely plugged in. Electric burners can be purchased for much less than a contractor’s service call! Gas burner on the cooktop is not heating evenly. Clean orifices on burner with a toothpick, toothbrush or pipe cleaner. This will increase gas flow and provide an even flame. The dishwasher is not cleaning the dishes well/soap is not dissolving. Soap properly dissolves if the water temperature is above 140 degrees. Try increasing the temperature on the water heater or run the faucet at the kitchen sink until it comes out hot prior to starting the dishwasher. Water sprays or drains out of the air gap. This means there is a clog in the line between the air gap and the disposal. The hose under the sink can be removed very easily and the clog can be removed. Be sure to re-attach the hose entirely to prevent any leakage. The dishwasher leaks from the door. Liquid soap suds can cause leakage around the door. Switching to powder soap will solve this problem. If you have been using liquid soap, place a cup of vinegar in the dishwasher and run it through a cycle. This will remove the remaining liquid soap from the system. If this does not solve the problem, refer to the above solution. The leakage could be a result of the unit not draining properly. The dishwasher will not drain. The dishwasher does not necessarily have a mechanical malfunction if it does not drain properly. 1. Inside the dishwasher at the bottom of the unit there is what looks like an upside-down cup. This is the float or pressure switch. Gently attempt to move it; it should move up and down freely. If any large food particles, glass, plastic, etc. have become lodged under this switch, remove them so the unit can function properly. 2. If the float switch is functioning properly, then there may be a clog in the air gap. This is the hose that runs under the sink from the dishwasher to the cap on top of the sink. There may be an obstruction in the line or in the air gap itself. Remove the cap on the sink that exposes the air gap. If you see an obstruction (i.e., food particles, etc. ), remove them. If no obstruction is visible, the top of the air gap should pop off or unscrew. Remove it to find out if you can see any other obstruction. If still no obstruction is visible, invert a plastic cup over the air gap opening (making sure the cup is suctioned tightly to the sink) then advance the dishwasher timer to the drain cycle to start pumping water through the line. If the obstruction is in the line, it should be pressurized out of the air gap opening. Be sure to keep your hand on the cup to prevent the water pressure from pushing it out of place. If the water runs through the air gap, shut off the dishwasher and reassemble the air gap. 3. If the disposal was recently replaced, the installer may have failed to remove the plug on the side of the disposal where the drain hose connects, preventing the unit from draining. This plug normally requires a special tool and can be rather difficult to remove. To prevent damaging the unit, contact the installer directly to remove the plug. Heater will not turn on. This usually indicates NO electricity is getting to the unit. Most furnaces installed in the last 15 years have a switch located on the inside of the front panel known as the blower door switch. The panel needs to be properly aligned and completely closed to activate this switch. The purpose of the switch is to prevent the furnace from coming on when you change the filter. If that doesn’t solve the problem, make sure the thermostat is set to the temperature you desire and is set on automatic. Finally, check the circuit breaker or contact the gas company to check out your unit or relight your pilot light, the gas company will do this for free! Fan will not shut off. Check that the thermostat is not set on “fan.” Some furnaces are equipped with a summer switch located on the side of the furnace. It’s used primarily in the summer months to circulate air throughout the home. Turn the switch setting to “OFF” to stop the fan function. Wall furnace pilot will not light. The local utility company may provide this service for free. Please contact them for assistance and ask if they will relight your pilot light. If they don’t, please contact our Customer Service department and ORHP will dispatch a contractor to service your heating system. Furnace cycles on and off frequently. The filter is important for the proper operation of a furnace. If the filter gets clogged, it will not allow the furnace to circulate properly, which can result in these symptoms. The blower door switch will automatically turn the unit off when the door to the filter is opened. You can simply replace the filter to save time and money! Make sure nothing is closer than 18 inches from all output vents and intake grilles. To ensure adequate airflow, NOTHING should be blocking them. Kitchen sink, bathroom sink, shower or tub drains slowly. If you have multiple stoppages in the home, (i.e., toilet, sinks, laundry line, or any combination of these) this is considered a “main line” stoppage and requires a plumber. Call our service department for assistance. If you have a slow drain in a kitchen sink, bathroom sink, shower, or tub, this can be caused by food, hair, and/or sludge buildup and can be easily remedied. Pour 1 cup each of baking soda, salt, and vinegar. Pour baking soda and salt into drain, immediately followed by vinegar. Let sit for approximately 15-20 minutes. As you wait, boil a pot of water. After the 15-20 minutes have passed, pour the boiling water down the drain to flush the pipes out. You may need to do this multiple times to completely clear the line. Note: Do not use this remedy if you have already used a store-bought remedy in the same drain. We also recommend liquid drain cleaners (not the crystals). The liquid drain cleaners are not recommended on the kitchen sink if there is a garbage disposal, as they have been known to damage the disposals. Make sure to follow the directions for maximum effectiveness. Toilet won’t drain well or at all. With the exception of a mainline stoppage, almost all toilet stoppages can be cleared with a plunger! Pool/spa is dirty; filter is not cleaning. Clean the filter. If the filter is dirty, it will cause an increase in pressure that prevents the filter from working properly. Cartridge filters need cleaning approximately every two months. D.E. filters need cleaning two to three times a year. Reset the circuit breaker at the sub or main electrical panel. Pool/spa equipment should be on its own circuit. There may also be a GFI/GFCI outlet at the equipment. (See electrical section for more information about GFI/GFCI outlets). Be sure it is in the reset position. Spas may also have a designated reset button. Pool pump is not circulating. The pump may have stopped circulating because the water level in the pool/spa is too low. If the water level has dropped below the center of the skimmer, air may get into the system causing it to stop working well. “Re-prime” the pump by raising the water level in your pool/spa, then remove the pump lid and place a few gallons of water in the pump basket. After reattaching the pump lid, open the valve under the pressure gauge on top of the filter. Turn your equipment on and when water sprays from the open valve, close the valve. The equipment should re-prime itself. You can tell the pump is working when the pressure gauge moves.